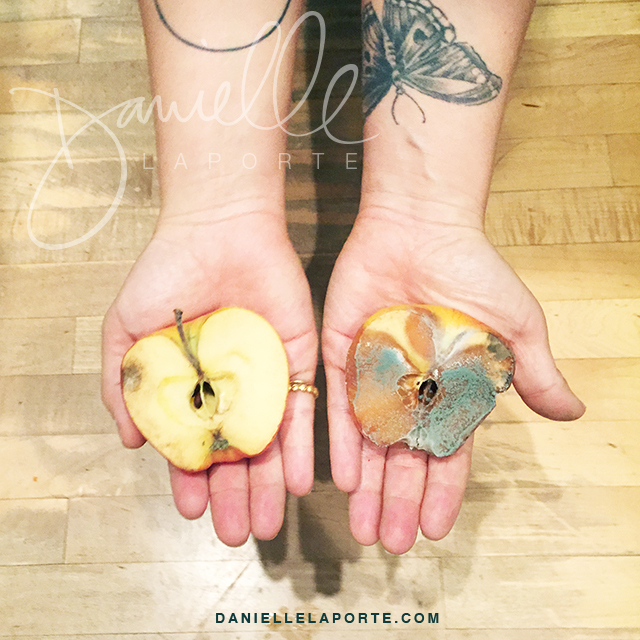 Recently I saw online an experiment that Danielle La Porte did with her son, using apples. She and her son talked differently (encouraging or discouraging) to two halves of an apple and then posted pics of what each piece looked like after one month. (This is her watermarked pic below.) I loved it! My kids are still pretty little, so I’m thinking it will be another year or so before both my kids can understand this experiment, but I loved the tangible way that it can show that words do matter. They have an effect. What we hear or tell ourselves can make a difference! That led me to thinking about an adult version of this game that could be instigated in our house immediately. I figured my husband and I could sit down and make a list of the things that we each of us want to hear right now about ourselves—things that help further our current goals or enhance certain qualities we would like to amplify. Then we could actually tell them to each other and ourselves every day. As it’s happened, it’s been a little more spontaneous than that. Other than the initial jotting down of ideas I did, we didn’t actually sit down and make a list, but we’ve still been doing it every day. “It’s so wonderful that it is so easy for you to make time to meditate,” I said to him. Daily meditation and regular exercise are two things the hub is trying to eek out time for right now. As you might imagine, with two small children at home it is frequently difficult for both of us to find the time everyday to do these things for ourselves. We’ve had so much fun just spontaneously adding things to the list as they arise. 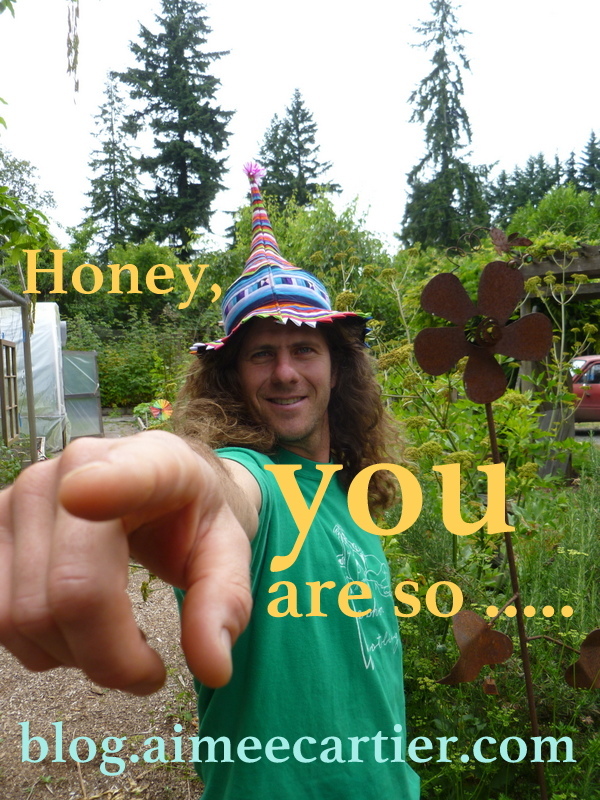 And let me tell you, it’s so lovely to suddenly have someone say from across the room, “Honey you are so fit and trim!” It’s so much better than the previous thought I had been having which was something like, “Ughh! This belly!” Now, I don’t even think that. I’m all fit and trim thoughts! Try it yourself! If you can, jot down the things that you want to say—mostly just so you can get a handle on what is truly most important to you right now. Otherwise, just start saying positive things out loud to yourself and have whomever you live with do the same for you and vice versa. Since our game is so spontaneous I usually just repeat back whatever my husband has come up with for himself in that moment, and then remember to add that one in again later. I hope you enjoy this as much as we are. It’s definitely a smile maker around here. And please, if you’re inspired, share some of what comes to your mind. (Or your experience of doing it.) It could spark an idea in someone else as well.